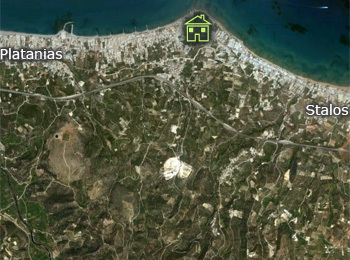 Minos Village Apartments is a complex in Agia Marina, 10km away from Chania. They are located at a great location, ideal for families and couples that wish to spend nice and fun vacations, being close to the restaurants, taverns and bars. 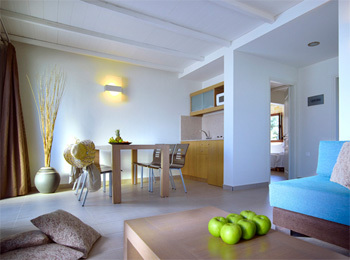 Minos Village apartments are housed in a three-storey building, renovated in 2008. 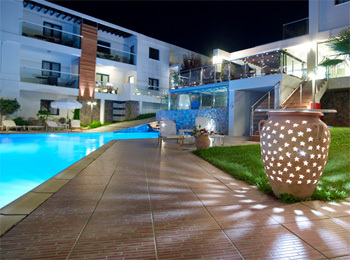 The building is built in the style of an Aegean Island, and has 36 apartments, divided into two-room studios and suites. All rooms and suites have a/c, telephone, TV and music, safe box, fully equipped kitchen, bathroom with shower and balcony with a view to the garden. Minos Apartments have pool for adults and children pool, mini market, a bar that serves breakfast and Cretan flavors, TV room and entertainment room. 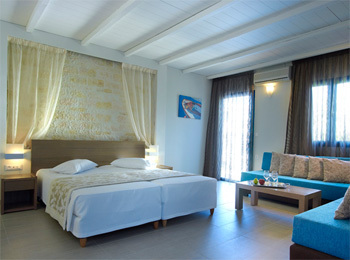 Reviews and comments for the apartments Minos Village refer to the calmness of the hotel and apartments, the friendly personnel and the decoration of the hotel. "Nice and fresh/quality hotel, good and friendly staff"
"Clean and spacious room, independency, nice decoration and amenities"
"A bit overpriced, concidering there was no breakfast"
" Pergola at the restaurant"
" The restaurant could be better"